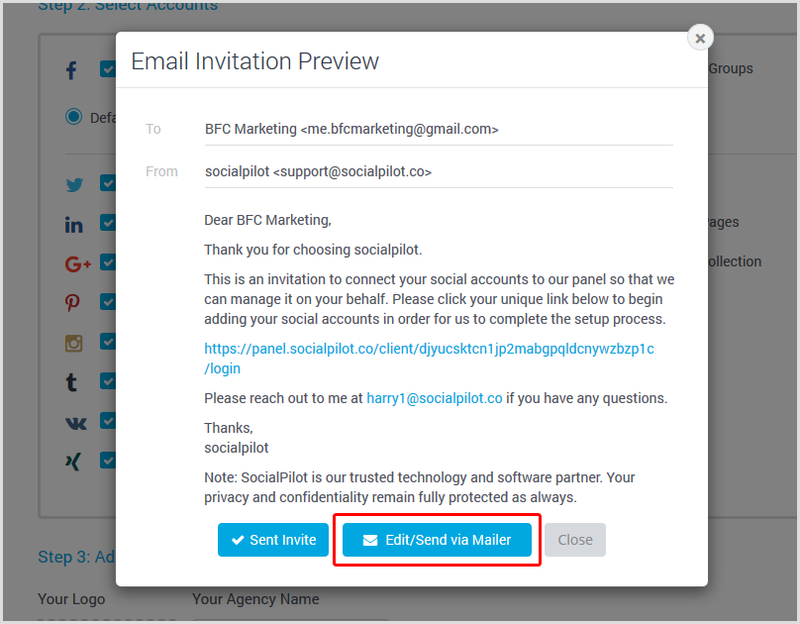 SocialPilot allows you to edit the invitation email to add your company's logo, name and email address. 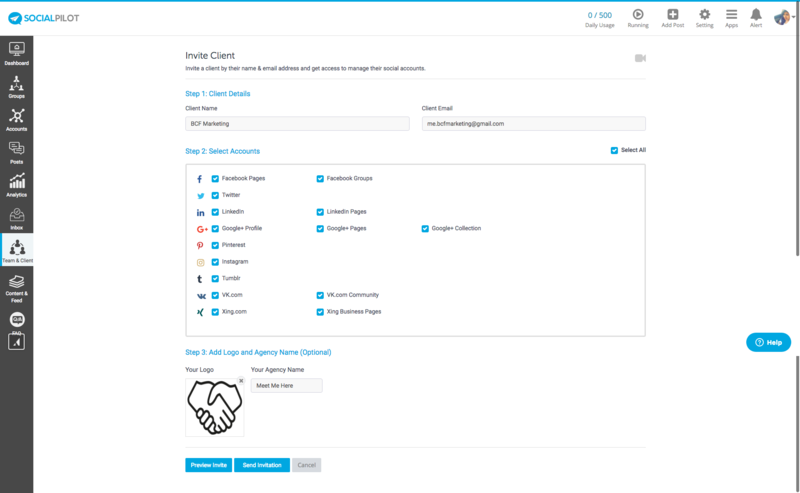 Invite your clients by filling in the details. Click on the 'Preview Invite' button to view the default invitation email. Click on 'Edit/Send via Mailer' button in order to edit the invitation. This will lead to your default mailer i.e. Microsoft Outlook Mailbox or Gmail. Edit the mail's content - you can add your company's name, logo and email address - and send it from your own mailer. Note: If you haven’t configured your mailbox yet, please do so in order to edit the invitation email.